Returning home: Dr Peter Steer is returning to Brisbane’s Mater Group as chief executive officer after having begun his career there in 1982 and worked there for 17 years at one stage. 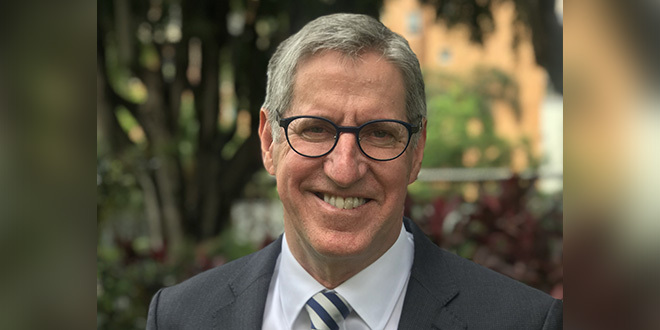 DISTINGUISHED Brisbane doctor Peter Steer will join the Mater Group this month after being appointed as the organisation’s new chief executive officer. Dr Steer, who has spent much of his career working in New Zealand and Canada, said he was happy to return to the Mater where his career began in 1982. “Brisbane has always been home,” Dr Steer said. This will be the second major leadership role Dr Steer has had with Brisbane’s Mater hospital. “I had a significant role here at the Mater in the late nineties,” he said. “I led the Mater Children’s Hospital, as it was then, when they were doing the new build on Stanley Street. Despite his rich medical background, which includes a tenure as the president of McMaster Children’s Hospital in Canada, Dr Steer is cognizant of the challenges that lie ahead. “It’s a difficult time in health care across the world,” he said. The CEO is confident, however, that the fabric of the Mater and the Sisters of Mercy has created a strong platform to build on. “The Sisters of Mercy here were courageous in starting this endeavour,” Dr Steer said.